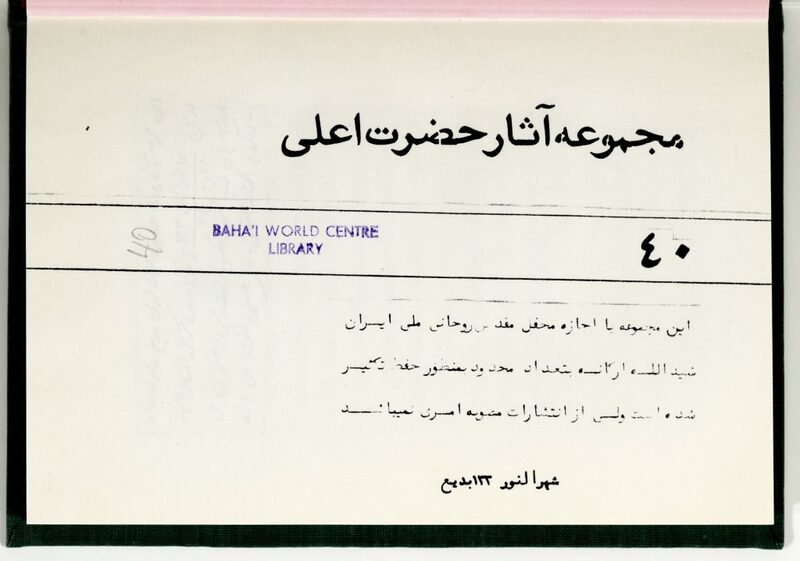 Description: Collection of Tablets of the Báb. Includes Tafsír Surat Wa al-Asr, Risálah fí Ithbát al-Nabáwat al-Kháss and replies to various questioners. Manuscript, 221 pp. (223 pp. of PDF).